xG® Technology's companies will be showing a number of products at the upcoming CABSAT 2018.
xG® Technology, Inc.'s MT and Vislink companies ("xG") (Nasdaq: XGTI, XGTIW) will display SatWare, an embedded computing and routing platform and Motorized Mantis MSAT, a satellite antenna system, along with a variety of wireless camera transmitters and receivers, to the Middle Eastern and African market at CABSAT 2018 (Stand ZB6-D70). xG Technology is a provider of wireless video solutions for the broadcast, law enforcement and defense markets, and private mobile broadband networks for critical communications. The company continues to grow and increase its presence in the region. IMT and Vislink recently appointed Nicola Ata as the new business development and regional sales director for the Middle East and Africa. Ata will be driving the performance of the MEA office, with responsibilities including strategic planning, go to market strategy, transitioning to new vertical markets, as well as fulfilling all the needs of industry professionals with the latest technologies and innovations. David Robins, Global Sales Director, Vislink said that IMT and Vislink are known for providing cost-effective, easy to use and highly portable solutions that really make a difference in the field for various broadcast environments. He added that with their latest satellite offerings, their customers can better share files and utilize studio workflows as if they are in the same location. 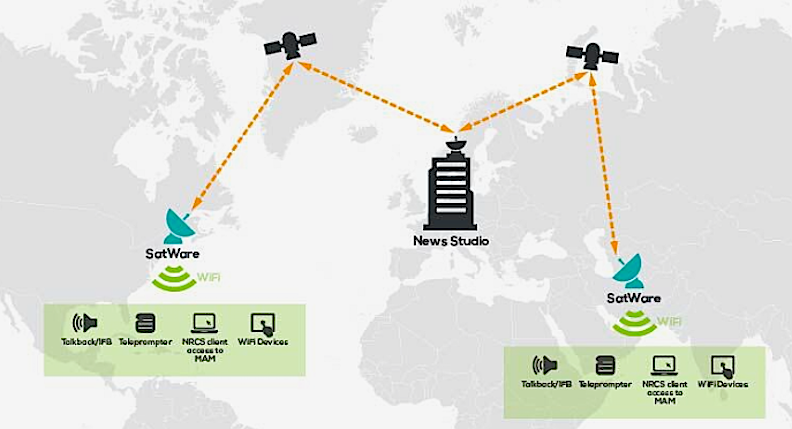 SatWare makes the broadcast world more interconnected and cohesive. They look forward to introducing their new IP optimization pack and satellite terminal to professionals in the MEA region, and illustrating how their satellite and wireless transmission solutions can help enhance any broadcast. The SatWare platform is a high-performance embedded computing and routing system that includes a configurable wireless router and a quad-core Intel Atom-based computing platform. The system provides direct access to the local network for smartphones, tablets and laptops without the need for any network configuration. The IP Optimization Pack extends services, such as VoIP, intercom and network access for connection to a newsroom computer system or other internet service, to the field for first-on-scene broadcasters and in-field editors. This extends the studio network out to trulyremote locations. SatWare works with the full range of Vislink SATCOM solutions, such as the NewSwift and its Mantis systems, and enables multiple IP connectivity enhancements. 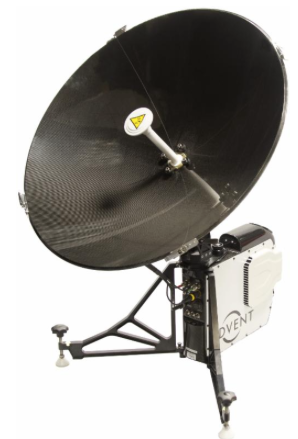 The Motorized Mantis MSAT is a lightweight, satellite terminal that can be set up anywhere to provide secure and non-secure data and video transmission in as little as five minutes. 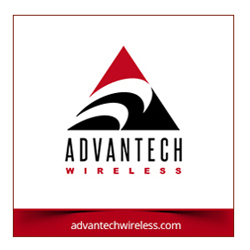 It supports X- and Ku-band configurations ensuring worldwide coverage is available at all times. Frequency bands can be swapped in the field in under one minute. MSAT incorporates a HEVC 4K UHD low latency encoder designed for rapid deployment in hostile environments, which is ideal for satellite news gathering, secure military communications, timely broadcasts, emergency services and disaster recovery. In addition to the satellite solutions, IMT and Vislink will also display its HCAM, IMTDragonFly and MicroLite 2 portable transmitters as well as its rack-mounted UltraReceiver.